Norwegian Viggo Venn is a graduate of Ecole Philippe Gaulier in France. Basouri, Philip Burgers, Simon Mcburney etc. 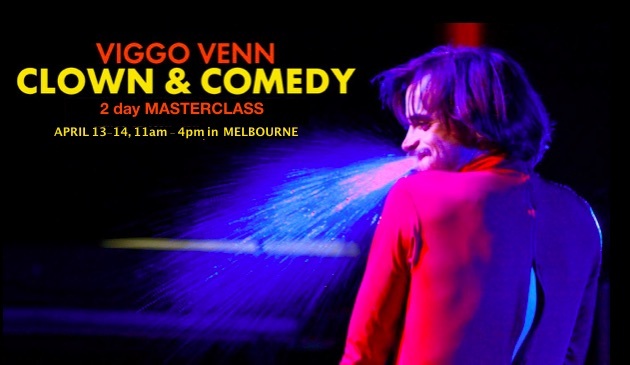 Viggo has been touring with a clown double act Zach & Viggo and with his solo show Pepito at international festivals around the globe the last couple of years and picked up some awards for his naive stupidity along the way. This year he has worked as an actor, with hospital clowns and as a comedian in Norway. Viggo has previously taught workshops at Melbourne International Comedy Festival, Bergen Fringe, Zulu Comedy Festival in Copenhagen, Sidney Comedy Festival and last at the Lyric Hyperion Theatre in Los Angeles++.